Gabriel is an angel descendant. He's also an ally to a generation of vampires who want to break away from the demon who controls them. His faith in the power of good over evil wavers, however, when he discovers that Lailah, the woman he considers his only true love, may be both angel and demon. Is their love enough to overcome the dark forces who are ready to go to war with Gabriel, the vampire Jonah, and the angel and vampire forces? 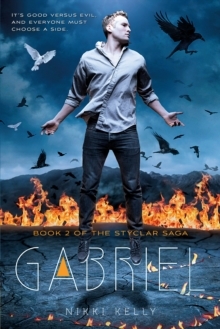 And can Gabriel compete with Jonah, who is also in love with Lailah? Once again, Nikki Kelly looks deep into the heart and soul of good and evil to create a romantic, action packed reading adventure.